Winter has finally arrived and the cold weather has everyone looking for a warm place to escape the frigid temperatures outside. It’s the perfect time to gather around a warm and cozy fireplace. Fireplaces have become commonplace in new homes, but usually include a basic mantle with no surround. Upgrading the mantel and surround are great ways to update this focal point of a room. 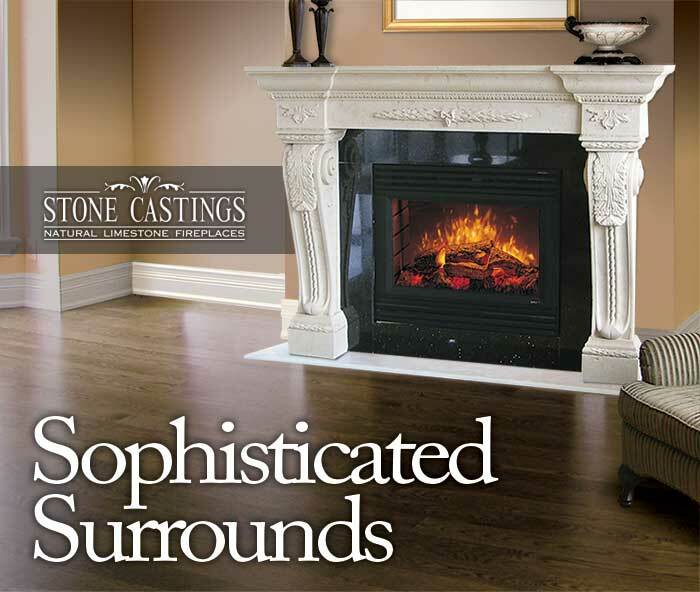 The Surround Series by Stone Castings allows you to select from a variety of mantel and leg combinations to achieve the perfect style to match your decor. Whether your taste is modern and bold or more traditional and classic, the myriad of options available will give your room a whole new look. Made with real limestone, the Surround Series gives your fireplace the look, elegance and durability of hand-carved stone. It’s also a great way to add market value to your home as the fireplace is often a sought after feature buyers look for in a home. Get in touch with our design team and we’ll help you find the perfect combination for your needs.